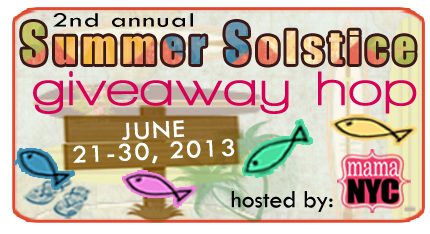 Welcome to the 2nd annual Summer Solstice Giveaway Hop hosted by MamaNYC! We’re going to kickoff our summer with a bang, so break out those boogie boards and beach balls.. It’s time to celebrate summer with a giveaway hop! Each participant blogger is featuring prize(s) valued at $20.00 or more. This event begins on June 21st and will run until June 30th at 11:59PM (EST). Don’t forget to scroll to the bottom of this post and hop down the linky list for many more chances to win. Good luck and have an amazing summer full of great memories! Though it has felt like summer for several weeks now in Kentucky! It is time to kick off our actual Summer Season! I was able to review these gorgeous Shelley Sandals made of EVA foam, and wow are they comfy! Not only comfy but rocking the fashion as well! They run a size small so it was suggested to order a size up which I did. I was so glad that they mentioned that right in the description. The size larger fit wonderful. I loved the jewel look of these sandals. They had just enough bling to dress up an outfit. I even tried out some nail polish in a similar color and wow did that make the jewels pop out! These are more sandal like rather than flip flop. They are dressier for one, but they also don't have the ability to run in them. (Not that I can personally run in flip flops either). These are a new favorite of mine and love to wear them with brown and turquoise clothing. They look great with anything though, even jeans and a T-shirt. I love the Desert Mojave Bronze thongs! I love the Solie Natural Thong! I like the Sprinkle Blush Womens Sandal or the Sprinkle Purple Tie Dye Womens Sandal. Deff Sprinkle Blush Womens Sandal!! I like the CJ-28 Rhiana Brown Sandal. I think the Sprinkle Purple Tie Dye Womens Sandal is really cute! My favorite is the Rhiana Brown Sandal ... Super cute! I wish you have a pair with a nice size heel that you could wear dressy. Maybe a couple of inches. The Tristan Wedge Sandal is nice for dressy but the heel is 4 inches! I couldn't stand to wear that high a heel. So I think I will go with the Sprinkle Blush Womens Sandal if I win but I also really like the Rhiana Brown sandal too! All the shoes are really cute! I like the Luxury Natural Sandal! I love the Luxury Natural Sandal! Thanks for the chance to win! Love the Tristan Wedge Sandals! They would be great to have! So cute! I like the CJ-28 Rhiana Brown Sandal. It's really cute. I love the Sprinkle Blush Womens Sandal so pretty!! CJ-28 Rhiana Brown Sandal are cute. Like the-CJ-28 Rhiana Brown Sandal. I like the Solie Natural Thong. Thanks. I like the Luxury Natural Sandal. I like the Sprinkle Purple Tie Dye Womens Sandal. I'd pick the Shelley Brown Sandal. The Tristan Wedge Sandal is gorgeous! 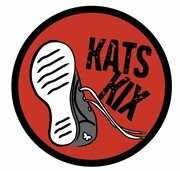 Great shoe styles! I love the Rhiana Brown Sandal. I really like the Sprinkle Purple Tie Dye Womens Sandal. I like the blush pink sandal on page 2. I like the Sprinkle Blush Womens Sandal!